Security team members and administrators will be conducting random metal detector searches in the coming weeks in response to requests from parents and community members for improved security measures. The searches will be conducted randomly with a portable doorway detector and a metal detector wand. 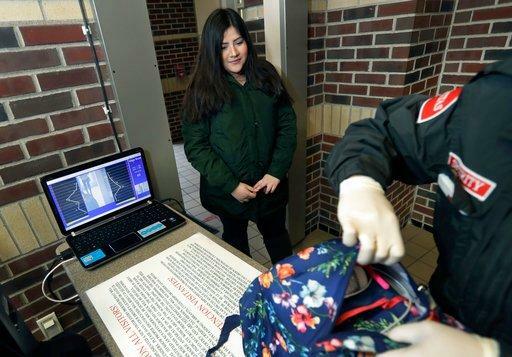 Students will pass through the portable detector while their backpacks remain in the classroom and are scanned with a wand, similar to amusement park or airport security checks. Security members and an extra safety monitor will carry out searches in the presence of an administrator. Plano East will share the security equipment with the other two senior high schools, transporting it back and forth when needed. Random searches will take place one hallway at a time with a target time of around 10 minutes per class. Boys and girls will form two lines through the metal detector, and if the silent alarm is triggered, they will be searched by a security member of the same gender. Any contraband that sets off the alarm, including weapons and e-cigarettes, will be cause for punishment. Security updates such as these have reignited a long-standing debate on whether metal detector searches create a safer environment, or one that is a reminder of looming threat. “We’re going to try to maintain as much normalcy as we can because [the searches] feel really disruptive and unsafe,” Aguirre said. While metal detector searches will be random, school officials may also search students if they have “reasonable suspicion” as established by the 1985 Supreme Court case New Jersey v. T.L.O. Probable cause in schools is different than legal probable cause, which requires tangible evidence before a search warrant issued. 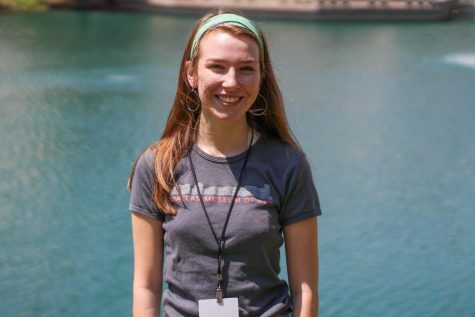 “I’m hoping [the searches are] going to give students and teachers a sense of security that the district is doing all that they can to keep the students and staff safe,” Associate Principal Robert Eppler said.